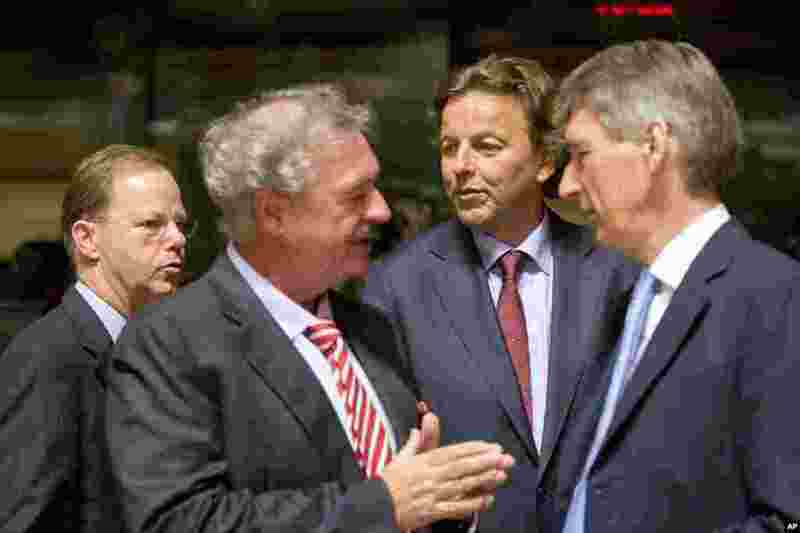 1 Dutch Foreign Minister Bert Koenders, center, speaks with Luxembourg's Foreign Minister Jean Asselborn, second left, and British Foreign Minister Philip Hammond, right, during a round table meeting of EU foreign ministers in Luxembourg on Monday, Oct. 20, 2014. European Union nations are working to find funds to help fight Ebola in West Africa and streamline a common approach in dealing with the health crisis. 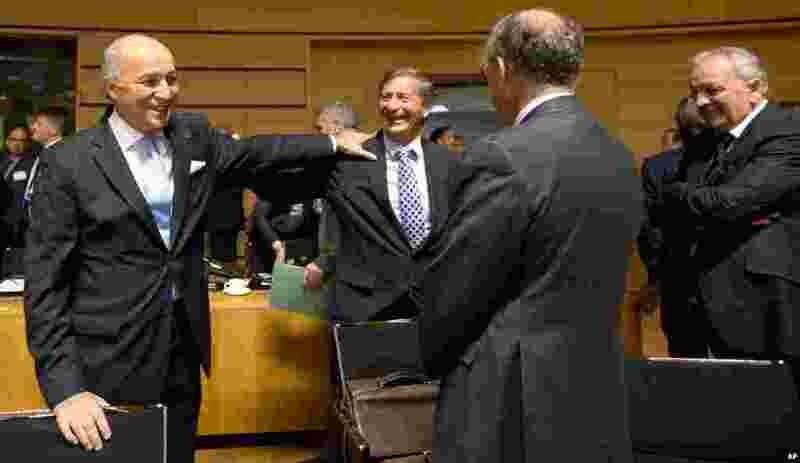 2 French Foreign Minister Laurent Fabius, left, speaks with Slovenian Foreign Minister Karl Erjavec, center, during a round table meeting of EU foreign ministers in Luxembourg, Oct. 20, 2014. 3 A worker for International NGO Doctors Without Borders sprays a colleague's boots with a chlorine disinfectant to prevent Ebola in Monrovia, Liberia, Oct. 20, 2014. 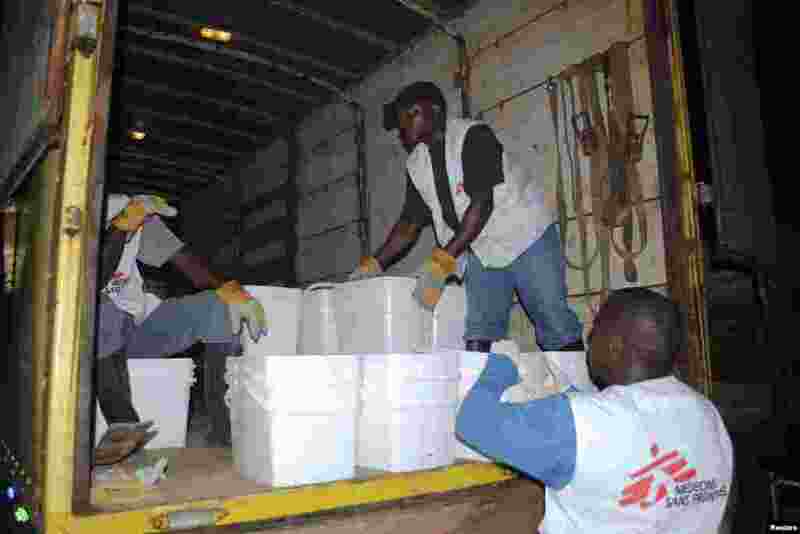 4 Workers for Doctors Without Borders distribute home disinfectant kits to prevent Ebola in Monrovia, Liberia, Oct. 20, 2014.